Mustard Seed Communities began in 1978 in the impoverished community of Mona Common on the outskirts of Kingston, Jamaica, as a home for a handful of abandoned and disabled children. Today we serve over 600 children, young adults, and families who belong to the most vulnerable groups in Jamaican society. The populations of our homes include children and young adults with disabilities, children affected by HIV/AIDS, and teen mothers along with their babies. MSC Jamaica also manages a number of community outreach programs to combat poverty and provide education to local populations. Our vision for each apostolate is to create a loving and caring environment to aid in the physical, mental, and spiritual development of our residents. 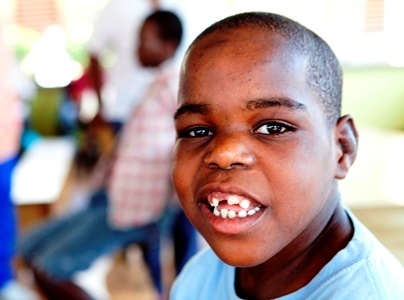 A majority of our programs in Jamaica focus on the care of children with disabilities. The residents of our homes have a wide range of physical and mental challenges including schizophrenia, autism, hydrocephalus, and cerebral palsy among many others. Several of our residential care facilities are located in and around the city of Kingston - the birthplace and primary headquarters of MSC Jamaica. At Mahoe Drive in Kingston, a bustling MSC community named My Father's House comprises a home for children, administrative offices, and several community outreach programs. My Father's House is home to over 40 children with varying degrees of physical and cognitive disabilities. There is a chapel at the center of the community where Mass and formal devotional are held three times each day. 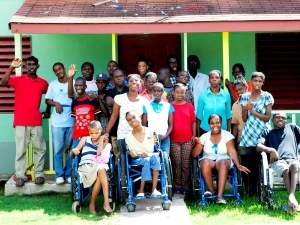 Sophie's Place is an apostolate located in Gordon Town and home to over 20 children with disabilities. Sophie's Place participates in a project with Kingston's University of Technology through which residents attend daily sessions with occupational therapists on the University campus. Sophie's Place also includes accommodations for mission teams visiting Kingston, a chapel, and a Little Angels preschool. In Spanish Town, MSC Jamaica has developed a large community called Jerusalem! The property is located on eight acres and it serves as a residential care facility for over 150 children and adults with disabilities. Jerusalem! provides a safe and nurturing environment for individuals challenged both mentally and physically. The Village section of Jerusalem! caters to older teenage and adult residents in a setting where several houses make up a small neighborhood. These homes provide an integrated environment where residents with varying levels of skills and development coexist. Training in construction, home economics, farm work, and formal education is emphasized to prepare residents for a semi-independent way of life. Jerusalem! also houses part of our Dare to Care program, a Little Angels preschool, and agricultural initiatives. While there are several MSC Jamaica programs in the Kingston area, we do maintain additional apostolates across the island. 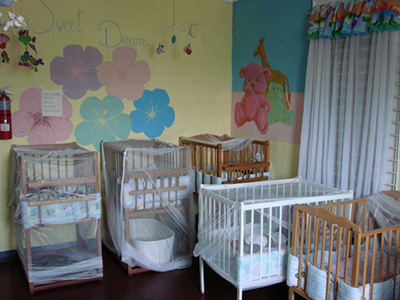 Widow's Mite is located in Murray Mount, St. Ann, and was the first residential home for abandoned children with disabilities that MSC developed outside of Kingston. Widow’s Mite cares for over twenty children. Additionally, a growing need within Jamaica and a generous donation of land led to our expansion into the northwestern part of the country in 2008. Blessed Assurance, home to 35 residents, is located just outside of Montego Bay. This apostolate is another location for mission trips to Jamaica, and the property has on-site accommodations for volunteers. Mandeville is home to Jamaica's newest apostolate, Gift of Hope. Currently, Gift of Hope is a home for children with disabilities whose ages range from 2 to 34, yet the ultimate vision is that Gift of Hope will serve as a home for younger residents, ages 2 to 12. In addition to being Jamaica's 13th apostolate, Gift of Hope is also the newest mission trip location. To complement our care for vulnerable children across Jamaica, we have developed an apostolate specifically to care for adults with disabilities. Jacob’s Ladder is located in Moneague on 150 acres of land donated to MSC by a bauxite company. In Jamaica, there are no facilities - governmental or otherwise - available to take care of individuals with mental and physical disabilities after they reach 18 years of age. The vision for Jacob’s Ladder is to fill this void by providing 500 young adults with mental and physical disabilities a home where they can live out their lives. Upon completion, this apostolate will have 100 cottages for staff and residents. At present, there are over 90 residents living at Jacob’s Ladder and new cottage construction is ongoing. MSC is taking full advantage of the expansive property at Jacob’s Ladder to develop it as a hub for our sustainable agriculture program. Dare to Care is our program that cares specifically for children living with HIV/AIDS who have been abandoned as a result of the virus. Dare to Care is the first and only program of its kind in Jamaica, and it is the namesake for our first home within the program. The doors of Dare to Care opened to seven children in September of 2000. The home has since expanded and now cares for over 30 children ranging from 5 to 17 years of age. These children come from all over Jamaica. Our HIV/AIDS initiative now encompasses three homes. The second of these homes, Matthew 25:40, was established in 2002 and caters to the needs of boys living with the virus. Martha’s House, the third Dare to Care apostolate, was established by MSC in downtown Kingston in 2006. The original facility was destroyed by fire in March 2009, though fortunately no lives were lost in the incident. Martha’s House was rebuilt on the Jerusalem! campus and officially reopened in December 2009. 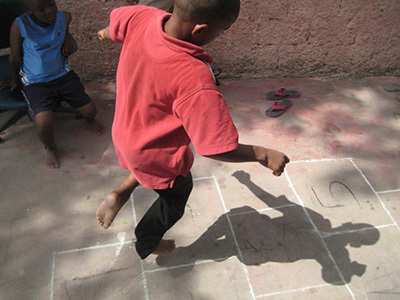 In total, our Dare to Care program provides housing and support to nearly 80 children. Read more about the history and structure of this program. Mary’s Child is our apostolate that provides housing and support for teen mothers and their babies. It is one of the only residential facilities of its kind in Jamaica. Mary’s Child accommodates twelve mothers and babies for one year. Residents of the home are first-time mothers and are typically referred to MSC by social workers, the police, schools, or health authorities. In addition to providing a haven for the young women to transition safely into motherhood, Mary's Child also imparts life skills that will be essential after their departure from MSC. Mary’s child offers training for educational, professional, and personal development including computer courses, home economic classes, and informational lectures on parenting skills. Each mother is also immersed in opportunities for spiritual growth, practicing daily morning meditation, midday rosary, and weekly Mass. This approach is modeled after that of other MSC apostolates and focuses on stimulating growth and development in every facet of the young mother's life. With our motto of caring for the most vulnerable in mind, we decided that our work should encompass a school system that would stand out among the best. Thus, Little Angels Learning Center was born. Little Angels provides education to our own residents as well as children from local communities. The Learning Center was officially recognized by the Ministry of Education on September 2, 2002. At Little Angels we aim to provide the very best for our children. They are taught to develop their mental, physical and spiritual selves. The Ministry of Education manages the structure of our annual curriculum. The children at Little Angels participate in classes such as religion, music, Spanish, Computer Studies, and Physical Education. Regular field trips expose children to their culture and national heritage. Spirituality plays a vital role in the lives of both the teachers and the children. Mass and adoration are observed weekly and students attend a monthly Day of Recollection as well as an annual retreat. Students and teachers endeavor to live by the word from the book of Proverbs 2 vs. 6. "True education is that imparted by him with whom is wisdom and strength." Mustard Seed Communities makes nutrition a priority in every community we serve. In Jamaica, nutrition is a key component of the Little Angels preschools where students are provided with two meals daily. Proper nutrition is paramount for the children and adults with disabilities that we care for in Jamaica. The right food and medicines can make dramatic improvements to their quality of life. An overarching goal of MSC is to become self-sufficient and sustainable in what we consume. Our programs in Jamaica are an important driving force for this vision. Jerusalem! and Jacob’s Ladder serve as our main sites for agriculture and animal husbandry projects. In the future, we hope to extend some degree of food sustainability to all MSC apostolates. At Jerusalem!, the farm functions as both a therapeutic alternative for the residents and as an income-generating project. The farm currently has two fish ponds, 2000 chickens for egg production, a vegetable garden, and a small flock of sheep. The farm serves the in-house protein needs of the residents and surplus is sold to neighboring communities as a form of income to help cover operating costs. At Jacob’s Ladder, we are fortunate to have an abundance of open land for agricultural expansion. 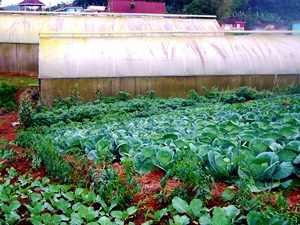 The site has over 40 pigs and several greenhouses for cultivation. Additionally, significant advancements were made in terms of water provisions at Jacob’s Ladder. In early 2013, the water catchment was completed and 8,000 gallons of water were pumped, filtered, and stored, providing Jacob's Ladder with a long-term water collection and distribution system. These initiatives will help MSC to fulfill the vision for Jacob’s Ladder to serve as a lifelong home for over 400 adults with disabilities. MSC is committed not only to providing for our children but also to uplifting the vulnerable and marginalized populations in society. 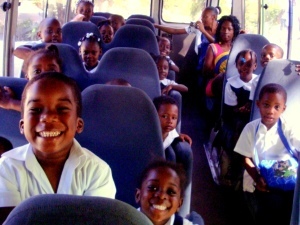 In Jamaica, we have become involved in numerous outreach programs. 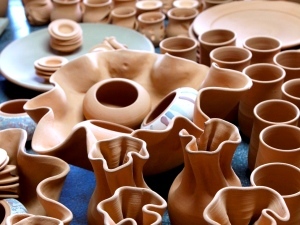 These include poverty alleviation with a charitable program called Christmas Treat and training efforts such as the Pottery shop & apprentice program at Mahoe Drive.